So I took a break from work in the middle of the day today and went to two more nurseries in search of Annabelle Hydrangeas. Wow was it hot today! 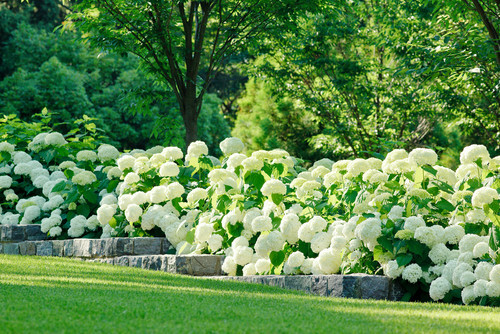 Did not find what I was looking for so have decided to order them but something possibly wonderful happened when I clicked on the inspiration photo from my prior post ( Annabelle Hydrangeas_) It took me to the Proven Winners hydrangea offering of Incrediball, which is like the Annabelle except it’s not. Basically this version promises sturdier stems to counter the Annabelle flop AND it endures harsh winters. I have decided to buy these online and forget about running over hill and dale looking for the Annabelle ones. I am also going to try them without the tomato cage based on the promise; can always add that later. This adaptable native plant produces huge flowers (as much as 12″ across) and is both reliable and beautiful. Flowers open green, then mature to white before turning green at the end of their life cycle. Very cold hardy Incrediball blooms on new growth so even very cold winters won’t keep it from blooming. The flowers are held upright on very sturdy stems, so they don’t flop like ‘Annabelle’ will. My only regret now is that I did not do this much sooner. Will post again on them once they arrive and are planted. Memorial Day is special to us, our family had four family members serve in Iraq during 2003-2008 time-frame. Melanie, the other owner of this blog, is one of these veterans, as is her husband. Today is a day for reflection on those who sacrificed for us all, but yesterday was a day of fun! Here are a few pictures of my sister Melanie’s and My combined 5 children out on a tube on Pohick Bay (near the confluence of the Occoquan and Potomac rivers). The cousins had a great time yesterday. As you can see I have my mulch waiting. I also have a big ol’ pile of dirt waiting as well to form the flower bed after I dig it out some. 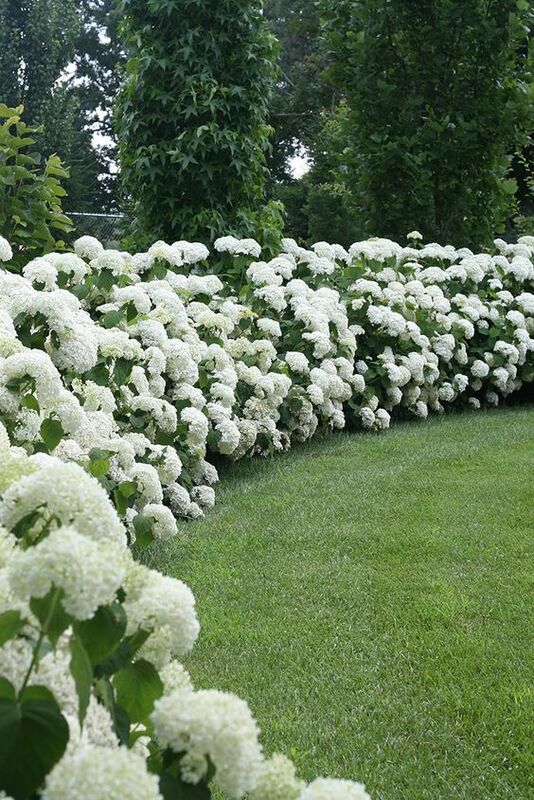 To summarize, the Annabelle Hydrangea was found in the wild in 1910, by Harriett Kirkpatrick of Anna, Illinois who summoned her sister-in-law to see this beautiful variety of hydrangea with the big snowball shaped flower heads. They bagged it and planted it and shared it until it caught the attention of a horticulturalist who turned it into the commercial success it is…ahem…when you can find it at your nursery. They are $3.99 each, and from what I hear worth the investment. Just put them in when planting and the hydrangea will soon bury it within. 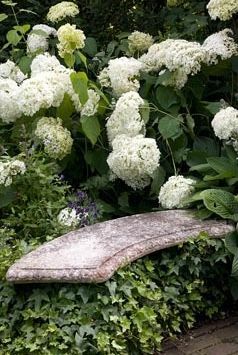 And maybe, just maybe, if I am lucky and give it some time I will also bury a stone bench in the design too like the one below. My son’s closet is pretty basic 1990s design. A pole with a shelf above it. We decided to make this a father & son project and I am pleased to say it did not take very long to do. Next step was to fix the drywall and paint. They did the dis-assembly and the drywall repair in less than three hours on the first day, sanded and painted the next, and then on the third day assembled the closet system. Below is the system they purchased. It is adjustable as the three poles will expand quite a bit. 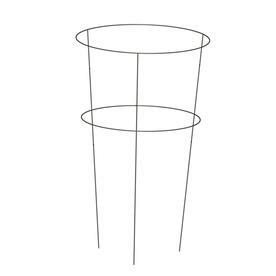 Just build the shelf part and decide how you want the poles configured. Using a screwdriver and a bit of wood glue it was quickly assembled. After letting the glue dry and installing the back to it, this is what it looked like. The back is a good bit cheaper looking (and costing) than the system we used in the master bedroom closet, but it is fine for a teen room. We didn’t go cheaper on purpose, Home Depot was just not carrying our favorite brand anymore. But it doesn’t bother us too much for this project as we know it will soon be stuffed to overflowing and the back will not be seen again for several years. It actually looks much better in person. And there it is (below) at about half full. I did not do any of the arranging of this or fancy it up, I snapped a quick pick as my son was filling it so you could get the idea of it. The top shelf is his spare sheets, so he can stop rummaging my hall linen closet when it is time for fresh sheets. The goal was accomplished: MORE hanging space and for little money and effort it looks much better. Cook 1 lb Chicken breast strips in 2 TBL Olive Oil. Remove chicken when brown and cook all the way through. Add more olive oil if needed then add cherry tomatoes sliced in half AND chopped leaves from 2 stems of fresh basil. Cook tomatoes approximately 6 minutes. Add chicken to tomatoes. Cook an additional 5-8 minutes. Serve as is without any accompaniment for a light supper. Okay, so I’ve never cooked beef short ribs before and I’ve certainly never done crockpot short ribs. So, I honestly don’t know if these are the best short ribs ever, but I can say that they are the best crockpot beef short ribs I have ever had. They really were pretty darn good and possibly my new favorite food. I was expecting the worst with this hack. I saw this posted several times this week and as with other hacks I’ve tried, I thought “oh, this is going to be a fun mess”. When making my Superb Southwest Summer Salad I stopped by the store at the last minute for “ripe avocados” and as you’ve already guessed, there weren’t any. I picked up the rock hard avocados and figured this was as good a time as any to make a mess of things. I bought 3 hard avocados and cut the first one in half just to see the difference. It was hard to cut, of course, and I tried to dice up a half and try a piece. Yup, just as suspected, a difficult activity in frivolity. And, it did’t taste good either. I tried the hack on the second avocado. I preheated the oven to 200 degrees fahrenheit, wrapped the avocado in foil and placed in the center of the oven for 10 minutes. I was very pleasantly surprised. It wasn’t hot, like I expected. It cut nicely, diced nicely and even tasted okay. I will always take a ripe avocado over this hack (something subtle about the taste and texture wasn’t perfect to me), but this will certainly work in a pinch. I will be using this hack again! This post is a story rather than a DIY or how-to. Just bear with me 🙂 The front porch will be getting a full makeover this summer. We stopped after church at Chipotle to grab some burritos and get home quickly; everyone had something they needed to do. As we pulled into the lot though there was a BIG tent at the back of the shopping center parking lot and under and all around it were flowers. What?! it was mid April, I had no idea the flowers would be for sale already at that location. We got out of the car and my feet headed the opposite direction of my husbands. “You go get the Chipotle, I am going to walk around the flowers for minute.” A groan from him and and he was off to get the food, while I was free for a few minutes to browse the flowers. Something happens to me at plant nurseries…something like a time warp, but I tried to browse as quickly as possible, knowing I only had a few minutes.